Prepping for a disaster can be expensive. 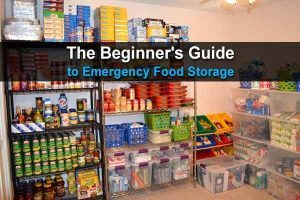 While fully-stocked private bunkers and steel safes full of weapons and supplies are great for the wealthy, low-income people need to be able to survive when the SHTF, too. Thankfully, prepping for tough times doesn’t have to cost a fortune. 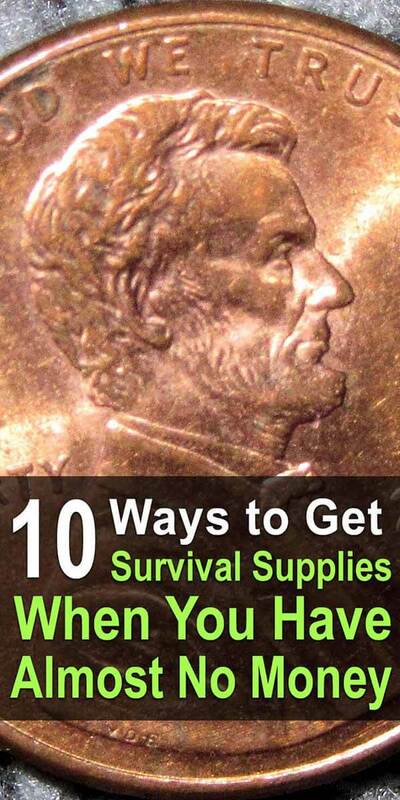 If you are looking for a way to get survival supplies on the cheap, check out these strategies. 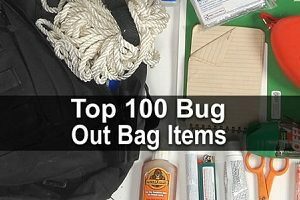 eBay is a great place to get incredible deals on a number of survival supplies, especially if you are willing to purchase used items. While eBay has recently been trying to shift away from the auction format and push items that are sold through a more traditional, fixed-price format, stalking the auctions is still the best way to snag a great deal. It may take a few attempts to actually win an auction for a bargain price, but with a little persistence, you should be able to find some great survival supplies for relatively cheap. You can’t get any more affordable than completely free, and while winning free survival supplies may sound like a fantasy, the truth is there are hundreds of companies giving away free products every day in drawings intended to promote their business. Sites such as Sweepstakes Today and Win Prizes Online make finding and signing up for these giveaway contests easier than ever before. 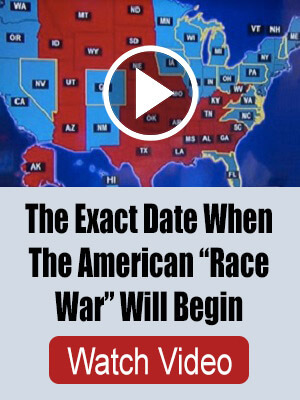 You certainly won’t win everything you sign up for, but there’s really nothing to lose. Rather than giving away full-sized products in a contest, many companies will promote their brand by giving away free samples. While you won’t get as much as you would if you won the full size product in a contest or drawing, free samples are a lot easier to get your hands on, especially thanks to websites such as Totally Free Stuff, Magic Freebies, The Free Site, and Free Stuff Times. And while these free samples probably won’t be enough to fully stock your disaster bunker, they do add up quickly. A few hundred travel size soap bars and tubes of toothpaste, after all, can make the apocalypse a lot easier to bear. Flea markets are like a garage sale with a permanent location. These used goods stores are great for finding a wide range of products at crazy low prices. 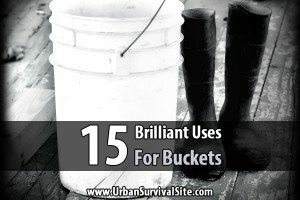 If you are looking for survival goods on the cheap, they are definitely worth a look. Here’s what to look for. Most flea markets don’t have a website, so finding them might be a little tricky. However, if you drive in any direction for a very long period of time you are bound to run across a few, and chances are you know where a few of them are already. Did you know you can buy supplies at auction from the US government? Not many people know this, which is why these items often go for incredibly cheap. And since the government has never been one to worry about waste, they don’t seem to care that they are selling practically unused items for pennies on the dollar. It’s frustrating for the taxpayers, but great news for preppers looking to score some cheap survival supplies. Best of all, government liquidation auctions allow you to purchase military supplies straight from the Army, Navy, Air Force, and Marines. It’s the kind of stuff you’d find in a military surplus store, but for a whole lot cheaper. To get started sourcing military-grade supplies straight from the US government for a fraction of what they’re worth, check out Government Liquidation. Craigslist is the garage sale of the online world, which means you never know what you’ll find, but you’ll usually find it for pretty cheap. While you have to be a little more careful buying on Craigslist than you do on retail sites such as eBay and Amazon, scouring Craigslist ads is a great way to find deals on a number of items, especially larger, more expensive survival items such as generators and off-road vehicles. After you’re through shopping the garage sale of the online world, you might as well go out and shop a few traditional garage sales as well. While these types of sales aren’t quite as common as they used to be, there are still plenty of sales available. Sometimes, towns and communities will even organize large events where multiple people in the area set up garage sales at the same time. These are certainly worth going to. Here’s what you can find. If you’ve ever seen those reality TV shows where extreme couponers walk out with baskets full of products having only spent a few dollars, you know just how effective couponing can be. While examples such as this might be a little extreme, coupons are still a great way to get supplies for a fraction of the cost. Filling your emergency bunker with food and supplies paid for almost entirely with coupons isn’t out of the question, and sites such as Coupons.com will help you get started. Along with this, start snipping coupons out of magazines and newspapers and storing them in a shoe box until you are ready to use them. Since Goodwill procures items by having them donated to the store, items at Goodwill can be bought for incredibly cheap. You’ll find a wide variety of goods depending on which store you visit, but Goodwill is an especially attractive option for stocking up on clothing. Here’s a list of things to look for. Raw materials are a lot more affordable than finished products. If you’re good with your hands and can follow a Youtube tutorial, you’d be surprised at how many products you are able to make on your own. 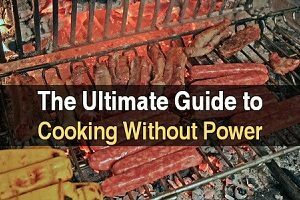 From cleaning supplies to water filters to makeshift stoves, there’s almost no limit on the number of survival supplies and household products you can make yourself for a fraction of what it costs to buy them. FREECYCLE.org….get what you need for free! My primary interest is in finding cast iron cooking gear. These items seem to be in very high demand in my geographic area and the price (if you are lucky enough to get to their store quickly), is virtually equivalent to what you would pay for a comparable product at Walmart. For example, they price donated skillets and Dutch Ovens at the same cost as a new product at Walmart. Figuratively speaking, cast iron cook ware flies off the shelf in my area. So, for at least this category of prepper item, Goodwill has figured out that they can charge the going retail price for a highly durable used product and still make a sale. Thanks for sharing. The more I hear about Goodwill, the less I like them.